After Kim Dotcom was denied the possibility of resurrecting MegaUpload as Me.ga, the controversial figure blasted the U.S. and Vivendi for their opposing views and global reach. Dotcom added that Mega was well-prepared for this contingency however, with a number of potential domains to fall back on. Today, Dotcom Tweeted that mega.co.nz will be the new home for the infamous cloud storage service. Although mega.co.nz doesn't have quite the same cachet as me.ga, it'll have to do for now. The Gabonese government (hence the .ga domain) was largely blamed for putting a stop to Dotcom's me.ga domain. Citing concerns of potentially sponsoring piracy, Gabon's Minister of Communications, Blaise Louembe, instructed his departments to pull the plug on me.ga. For a brief period of time however, the domain appeared to fall into the hands of "Omega". According to Torrent Freak, a group of hackers claimed to have actually hijacked the address. During that period, Me.ga was indeed redirecting to the group's supposed Twitter feed (@O) but has since quit resolving -- perhaps that Gabonese suspension is finally in play. New Zealand will be the home of our new website: Mega.co.nz - Powered by legality and protected by the law. Although Dotcom's vitriol toward the United States elicits little surprise, the French website Numerama explains why he also mentioned Vivendi. Known by many gamers as the parent company to Activision-Blizzard, Vivendi is a majority stake-holder in Gabon Telecom -- the registrar responsible for managing .ga domains. The connection may be tenuous, but there's no question Vivendi has a vested interest in protecting its intellectual property. 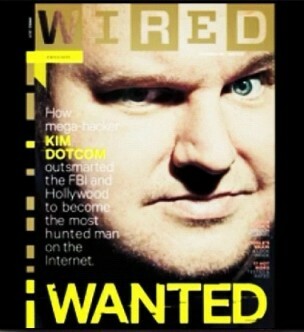 The new MegaUpload is expected to launch January 19. The site redesign employs private encryption keys and globalized cloud storage to skirt around the same legal issues which originally put Kim Dotcom in whole lot of trouble.